In an interview with Al-Hayat newspaper to be published on Wednesday, Major Abdel Meneem al-Houni, who has resigned from his post as Libya’s Arab League envoy, confirmed Sadr’s death. Houni, who was also Libyan leader Moammar Qaddafi’s ally during the country’s 1969 revolution, said that Sadr was buried in the Libyan region of Sebha. The Lebanese Amal Movement – headed by Speaker Nabih Berri – has repeatedly said that Libya is responsible for Sadr’s disappearance in 1978. Hundreds of Libyan protestors have died in a wave of unprecedented demonstrations that have rocked Libya for the past seven days, with protestors taking over several cities in the east of the country and calling for Qaddafi’s resignation. Qaddafi ordered his followers Tuesday evening to crush uprisings against his 41-year rule and vowed to fight to the death as he swatted away growing outrage over the bloody crackdown. Everyone knew it was Gaddafi the cockroach had him killed. I hope he faces the same fate for what he’s done to many people. That man was a holly man, a patriot, and a good man. I still have his picture etched in my mind when he kneeled in the church and stretched his arms as a symbol of the Crucifix. Things would have been different if he was not martyred at a young age. So if you do not know history please refrain from insulting him. He is not HA and definitely he is turning in his grave when he sees what Berri has done with his party. we know history well, he was also bankrolled by the Khadafi in the begining of the civil war and no one can deny it , it is in everybook,, his death is the result of payback for unfinished business, as Sadr was suppose to fight and defeat the Chrisitians also could be the result of Arafatt and Khadafi palns . If you have a good memory when a mine exploded in baalbeck in 1974 while Amal movement were training on combat , weapon and payroll were provided by Khadafi . It was late 1978 when Al Sadr switch side and his militia amal started fighting the PLO in the south, and this also could have triggered his killing, as Arafat and Khadaffi could have well planned it. Arafat and Khadafi coordinate the Damour massacre and Khadafi send a battalion along with the Saiqa ,total of 16000 fighter of the Hamaj from various Arabs and African world ! !I dont pity neither Sadr , neither Khadafi or his people , let them drink the cup we drank ,the innocent blood that Khadafi helped spilled is going back to him., as Christian am suppose to forgive, but knowing a teen age from the Damour what happened to her sisters and brothers and father and mother, I will not be sad to see him executed , the Libyan Battalion and one PLO Commander which i forgot his name ( check archives) took minors girls and boys from Damour and they made play soccer for them and after sexually raped them ,boys and girls and murdered them after , by doing that they only proved what Ibn Khaldoun ( a moslem ) said and I quote him ” there is no city that the arab conquered and they didn’t burn it, looted, raped the women in it and return it 1000 years backward ‘ that was the Damour liberation and the PLO proudly wrote on its singn ” AL Moudamarra” . NO tears to be shed at ALLLLLLLLLLLLLLLLLLLLLLLLL!!!!! 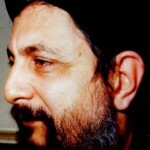 I still fail to see the relationship between your treatise and the man in Sadr himself. However, that past in itself however painful, can bring memories from either side, like sabra and shatila etc… So what is the solution? We continue on the destructive path and fall into the trap of fratricide that Syria is planning for the lame excuse of its return? guss043, You sound like you were deeply involved in fighting during that period….. We’ve had more than enough of internal wars. Everyone is guilty and all Lebanese paid a heavy price.Too bad Lebanese adore their warlords still. What ever you think happened, don’t let your temptation of revenge get the best out of you.Most Lebanese can be tempted for revenge based on what they think happened. Damour was a tragedy ,so were other towns and villages in Lebanon.Non was justified,and non justified the other.But,sadly and shamefully, it’s the revenge mentality that justified them all .